The brother of a Pakistani man who was killed during Friday’s mosque attacks in New Zealand has told the BBC he has no words to describe the pain. “It’s like cutting your limb off,” Khursheed Alam said. His brother had tried to tackle the gunman but was killed alongside his son. 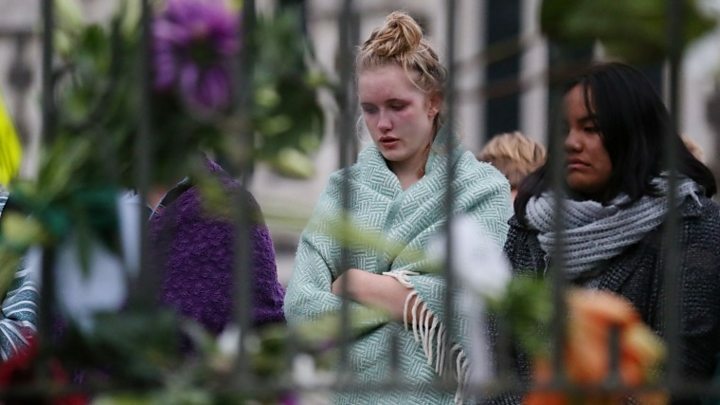 Forty-nine people were killed at the two mosques in Christchurch. Australian Brenton Tarrant, 28, a self-described white supremacist, has been charged with one count of murder. He appeared in court on Saturday in a white prison shirt and handcuffs, smiling for the cameras. Further charges are expected to be made against him. He has been remanded in custody without a plea and is due to appear in court again on 5 April. The court judge ruled that the suspect’s face should be pixellated in photographs and filming to preserve his fair trial rights. Naeem Rashid, 50, and his 21-year-old son Talha had been living in New Zealand since 2010. Mr Rashid has been hailed as a hero on social media after being seen apparently trying to tackle the attacker at Al Noor mosque before being shot. His brother, in the northern Pakistani city of Abbottabad, told the BBC’s Secunder Kermani he was proud of his actions. “He was a brave person,” Mr Alam said. “I’ve heard from people there… there were a few witnesses who said he saved a few lives by trying to stop that guy. But he went to add that even though his brother was being hailed as a hero by some people, it was “still a shock for us”. Mr Alam said he was angry. “Terrorists don’t have a religion,” he said, adding “crazy people” had to be stopped. Officials in New Zealand are now carrying out the difficult task of identifying those who have died. But from the relatives’ accounts, it is becoming clear they came from countries around the world, and that many of them were refugees who thought they had found safety in New Zealand. Many families who have not yet made contact with their loved ones are enduring a terrible wait for news. One of the survivors, Ali, told the BBC he had been praying at Al Noor mosque with his brother and father. He and his brother escaped injury, but their father was in an induced coma having been shot in the back trying to protect his sons. “He was the one who took a bullet for me,” Ali said. A gunman drove to the mosque, parked nearby and began firing into the mosque as he walked in through the front entrance. He fired on men, women and children inside for about five minutes. He live-streamed the attack from a head-mounted camera and identified himself in the footage. The suspect is then said to have driven about 5km (three miles) to another mosque in the suburb of Linwood where the second shooting occurred. Ms Ardern said the guns used by the attacker appeared to have been modified, and that the suspect’s car was full of weapons, suggesting “his intention to continue with his attack”. He had obtained a gun licence in November 2017 that allowed him to buy the weapons used in the attack. New Zealand’s Attorney General David Parker said the government would look into banning semi-automatic weapons, but that no final decision had been made. Previous attempts to tighten gun laws in a country with a strong gun lobby and culture of hunting have failed. The suspect had not been on the radar of security services in New Zealand or Australia. All day on Saturday the people of Christchurch have been turning out to show their rejection of the hate that inspired Friday’s horrific attacks. In ones and twos and in family groups, people have been coming by the hundred to a makeshift memorial set up on the edge of Hagley Park. Outside the two mosques that were attacked, people have been laying more flowers. Many have left hand-written notes. “This is not New Zealand,” one read. At one point a group of young men started quietly singing a traditional Maori song, their heads bowed, eyes closed. The mayor of Christchurch said the killer had come to the city with hate in his heart, to perform an act of terrorism. But she said he did not represent anything about the city. Still, there are lots of uncomfortable questions for the authorities here. The man now in custody, Brenton Tarrant, made no secret of his support for white supremacy. He had reportedly been planning the attacks for months. And yet he was not on any police watch list. He did not have any trouble getting a gun licence, nor in buying a collection of high-powered weapons. Before the attacks, social media accounts in the name of Brenton Tarrant were used to post a lengthy, racist document in which the author identified the mosques that were later attacked. The text is called The Great Replacement, a phrase that originated in France and has become a rallying cry for European anti-immigration extremists. The man said he had began planning an attack after visiting Europe in 2017 and being angered by events there. 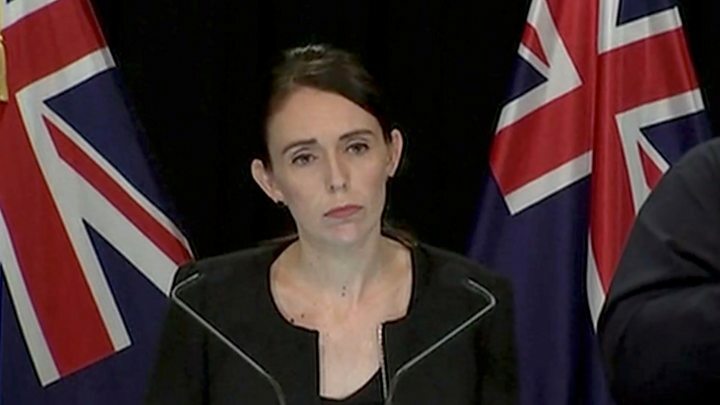 The suspect sent the document to 70 people, including to Ms Ardern’s generic address, less than 10 minutes before the attack, the New Zealand Herald reports. Muslims make up about 1.1% of New Zealand’s population of 4.25 million, according to the latest census figures. Numbers rose sharply as the country took in refugees from various war-torn countries since the 1990s.